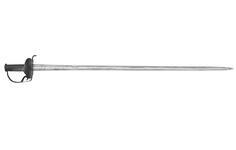 Black iron hilt comprising two shell guards, the inner smaller than the outer from which a guard to the back of the hand curves up to meet the flat pommel: the flat knuckle-guard has a swelling near its lower end; a scroll guard formelry linked in the centre of the knuckle-guard with the shell-guard outside. Small rear quillon. Events The State Museum of the Moscow Kremlin, 16 Dec. 1997- 12 May 1998 (Richardson and Rimer 1997). T. Richardson and G. Rimer, Treasures from the Tower in the Kremlin, Moscow, 1997, cat. no. 22, pp. 70-71 (col. illus. - gen. view, and det. hilt and base of blade), 178 (b. & W. illus. - det. 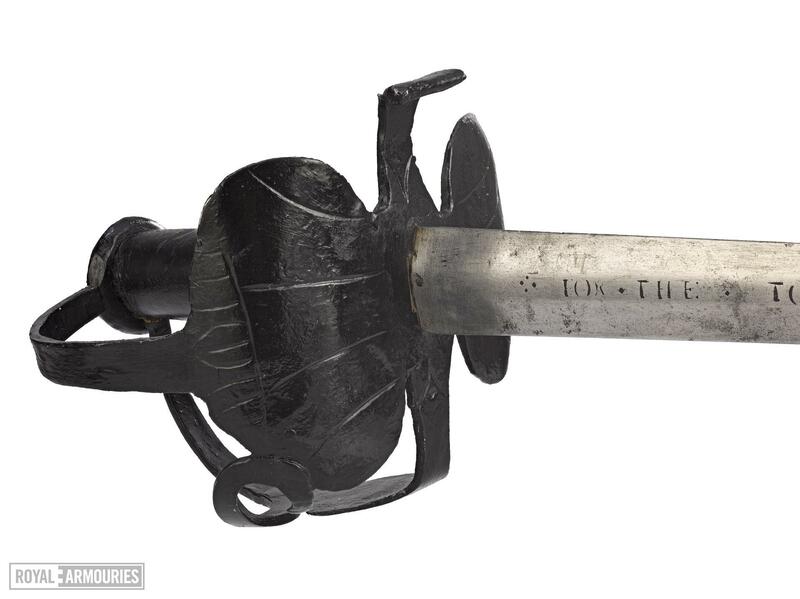 hilt and top of blade) - 'English, mid 17th century'. F. Wilkinson, Those entrusted with arms..., London, Greenhill Books and Leeds, Royal Armouries, 2002, p. 60, fig. 5.2 (hilt and half of blade). C Mazansky, British basket-hilted swords. A typology of basket-type sword hilts, Boydell Press, Woodbridge, 2005, p. 279, type VCi, [pommel type not given] (illus. ): 'early 17th century'. General information on the this pattern has yet to be extracted from the Publications and other information cited above and in the STAR entry (which has not yet been properly extracted). 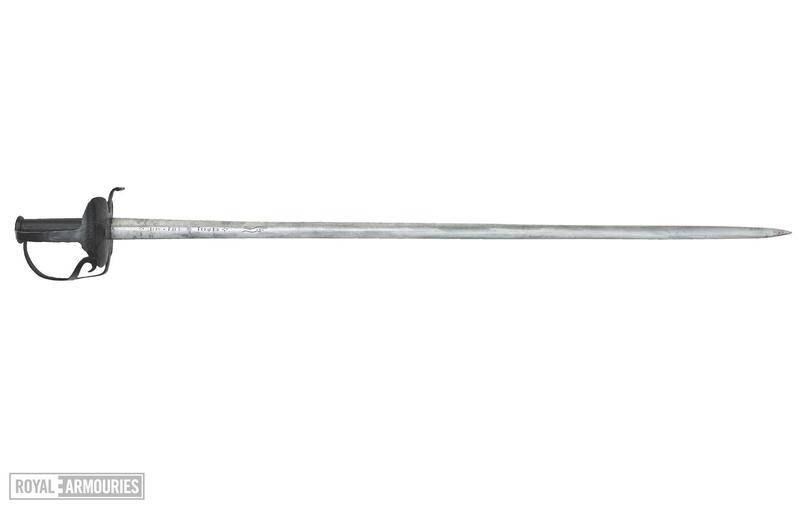 The following swords in the Royal Armouries are of the same general pattern (essentially defined by the hilt): IX.207-213, IX.216, IX.3585 (no side knuckle-guards), 3586.